Is this the most outdated mobile phone shop in London? 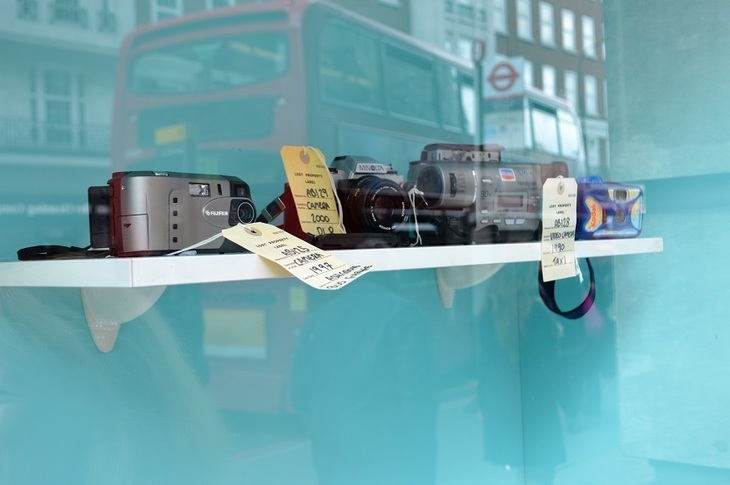 No, it's the window of Transport for London's Lost Property Office on Baker Street. 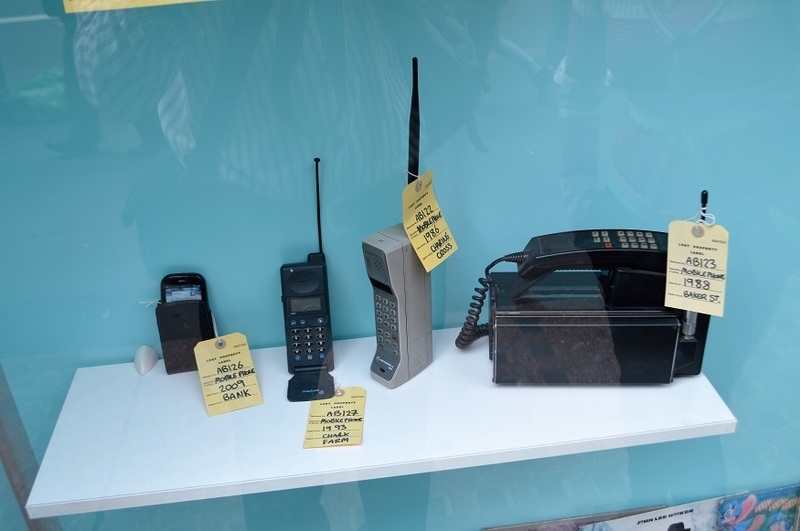 The entrance is festooned with antique and oddball items left behind on the transport network — including the quartet of increasingly non-mobile mobiles shown above, which date back to 1986. 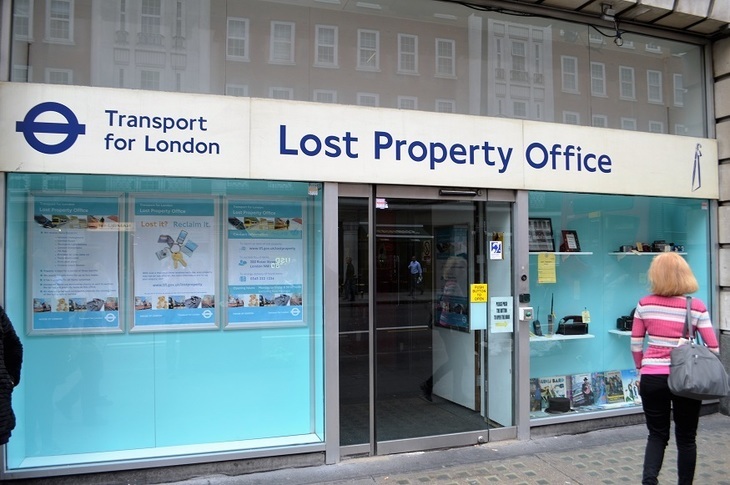 The Lost Property Office is the place to go if you've misplaced something on any Transport for London service, including buses, tubes, taxis and certain trains. It's also the place to go if you're a journalist or filmmaker, judging by the amount of media coverage the facility has attracted over the years (and here's our own video tour). Small wonder, for it is full of curiosities. Among the thousands of misplaced umbrellas, smartphones and rucksacks, staff also look after judges' wigs, prosthetic legs, and an urn of ashes. But you don't need to go inside to get a flavour of this unique treasure trove. Just have a look in the window. You can't miss the place. Its exterior is decorated in a retro shade of cyan that has itself been missing from the world since the late 60s. The right-hand window contains an intriguing collection of things that got left behind. 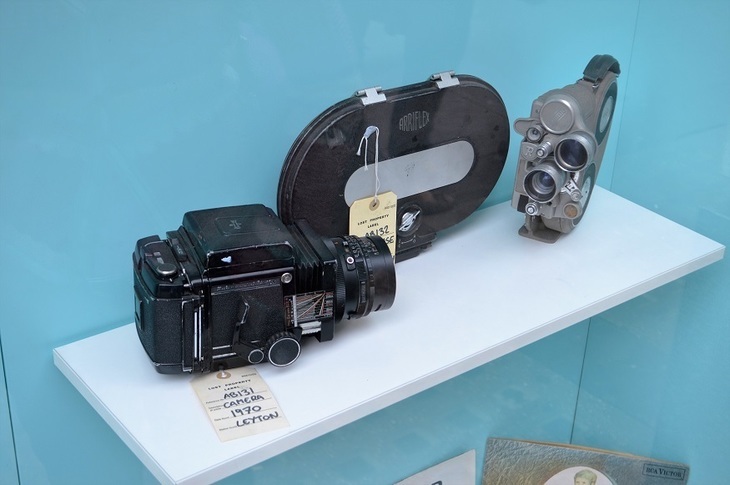 Here we see some retro-filmmaking equipment, including a 1960s film-case from Holloway Road and a camera left at Leyton in 1970 (Mr Hitchcock?). In fact, unclaimed cameras make up about a third of the display. Did you leave this Fujifilm on a bus in 1997? The store's holdings go back a long way, and raise many questions. Who, for instance, left this tiny iron (below) on the number 23 bus, way back in 1934? The top hat, meanwhile, was left in Euston in 1961. Was it yours? Even a film magazine from the 40s has been kept, in the optimistic hope that its owner may still collect it. 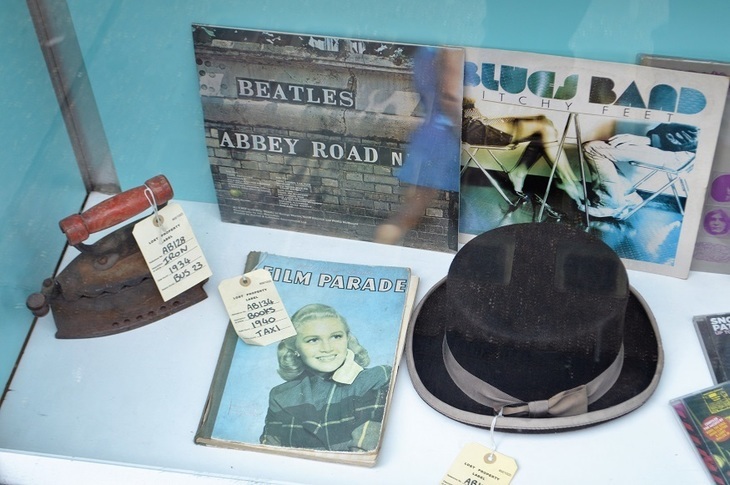 And it's good to see a nod to the local area, with a mislaid copy of The Beatles' Abbey Road. You can take a closer look at the window any time you like at 200 Baker Street. The office itself is open Monday-Friday 8.30am-4pm for enquiries.